Sometimes couples just want to escape it all and need an expert elopement service. By choosing Ordained For You couples are able to get access to some of the best licensed ministers in the state without all of the extra complications. Using this service’s booking page you will quickly be able to choose a date and time with the minister that you want to officiate at your ceremony. Their staff will take care of every detail so you won’t have to think of anything on your wedding day. The most unique aspects of the service provided by Sarah Reed, the officiant at Let’s Do It, is that Sarah absolutely loves weddings. It is clear from every aspect of the service that this expert is dedicated to making the ceremony of your dreams come to life. Sarah trained under a renowned officiant and has learnt everything about the service possible. Not only will you be getting the best in the business but you will also have access to one of the most knowledgeable advisors. It can be difficult to know exactly which wedding officiant in Houston, TX to opt for but with the reviews that are proudly displayed by Bridal Minister this is a thing of the past. 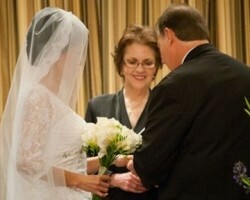 By choosing your wedding minister from this service you will have all of your expectations exceeded. 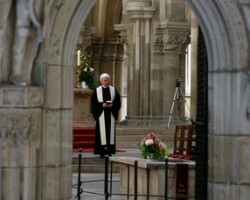 Every minister is incredibly friendly and will always perform a beautiful ceremony that suits your personality perfectly. Knowing that your ceremony will be flawless will remove the majority of the stress that you feel on your big day. 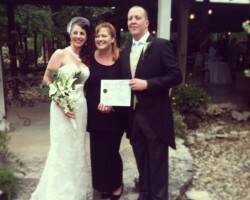 Minister Lynn Turner and her team at Weddings Performed have been providing their services to couples throughout Texas for many years. They are able to travel to anywhere throughout Houston and are able to perform beautiful ceremonies at any venue. Weddings Performed has an amazing group of ministers that couples immediately love and they are guaranteed to create an ambience at your ceremony that you and your guests will never forget. It is important to note that these professionals get booked up quickly so contacting this team as soon as possible is a must.